Trying to embark on a thinner Thanksgiving? That’s probably a good idea given the stats on holiday weight gain. There is no need to deviate from the traditional plan – turkey, stuffing, potatoes, cranberry sauce, vegetables and dessert are all within your reach as long as you keep it simple. Turkey: Roasted – Can’t go wrong with roasting. Choose white meat for the leanest protein and use gravy sparingly. Stuffing: Maximize nutrition by adding celery, onions, mushrooms, carrots, raisins and apples. 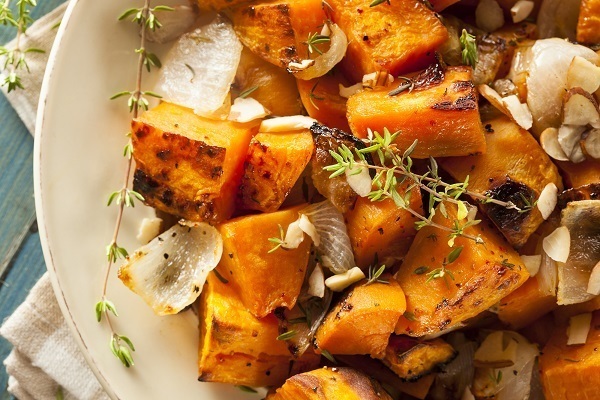 Yams: Roasted, boiled or sautéed they are delicious! 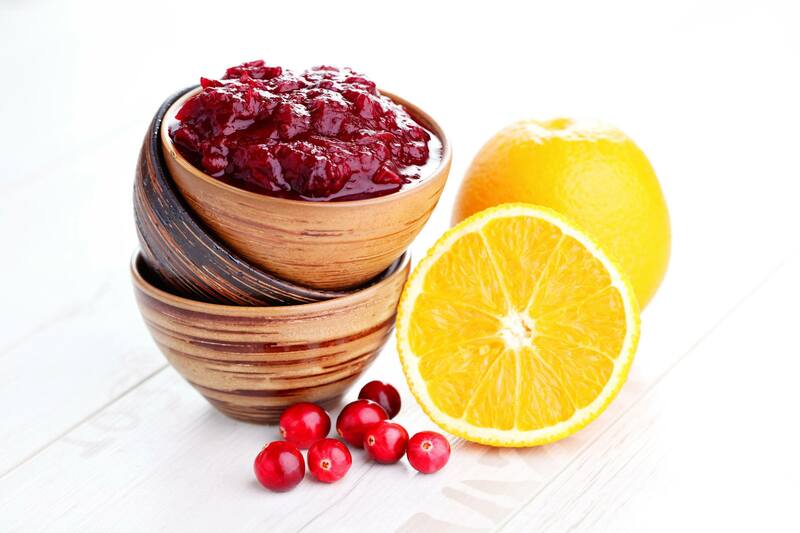 Cranberry sauce: Prepare with fresh cranberries and use the least amount of sugar possible to achieve sweetness. Dessert: Fresh fruit or a slice of pumpkin pie; keep it to one serving. Remember, the only one who should be stuffed on Thanksgiving Day is your turkey…everyone else should consider themselves satisfied. Use a sharp knife to slice the ends off 3 oranges and remove the peels and white pith; discard. Working over a bowl, cut the orange segments from their surrounding membranes. Squeeze the juice into the bowl before discarding the membranes. Leaving the segments in the bowl, pour the juice from the oranges into a measuring cup. Juice the remaining orange and add the juice to the measuring cup. If necessary, add water to make 2/3 cup liquid total. Combine the juice, cranberries, brown sugar, cloves and salt in a large nonreactive saucepan. Bring to a boil over medium-high heat. Reduce heat to medium-low and cook, stirring occasionally, until thickened, about 15 minutes. Let cool for 10 minutes. Stir in the reserved orange segments. Serve warm, room temperature of cold. Place the vegetables and garlic in a single layer on a baking dish, and add the rosemary springs. Roast for 40 to 50 minutes, turning once until lightly browned.